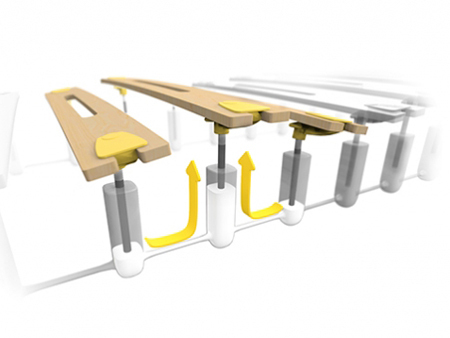 In the Dorsoo sleep system the patented bed base adapts to every user... whatever their build and whatever position they sleep in. As with any sleep system, we highly recommend that you try before you buy. You can try this mattress and bed at our lovely London and Amersham stores. Whats more the base system retains its adaptive quality for life. Buy Once. Sleep Relaxed. With Dorsoo every user can experience a blissful mix of perfect support and luxurious feel. That, and the systems long life makes it the best system we've found. 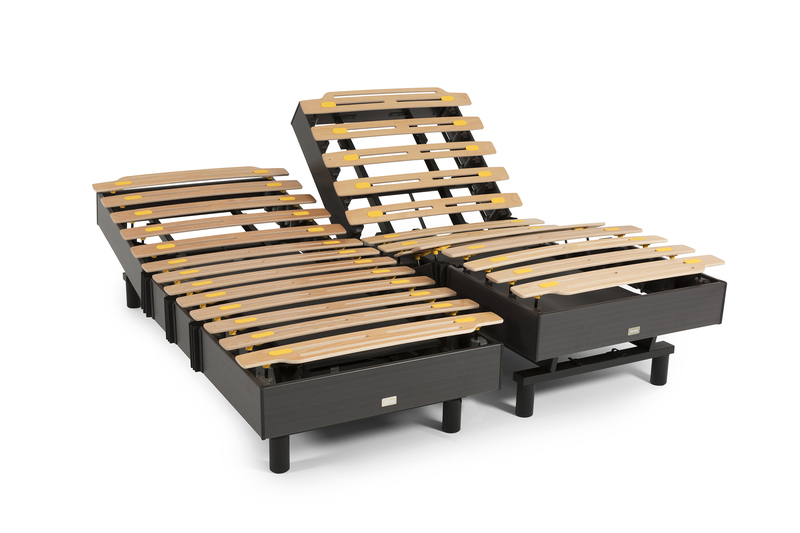 The Dorsoo base gives such consistent adaptive support that its even comfortable to sleep on without a mattress! Try it in store, you'll be impressed, (maybe even excited). The Dorsoo mattress however does take comfort to a level beyond. 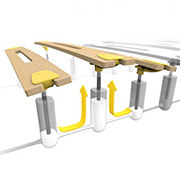 Beyond memory foam, beyond springs, and finally solves the support versus luxury dilemma. Request information and enquire about the Dorsoo. Dorsoo is unique in the mattress market. If you are interested in the Dorsoo sleep system, you have to try-before-you-buy. Please let us know if you have any specific queries regarding Dorsoo.